I love summery, fruit drinks. They are great for an afternoon playdate, for an evening dinner party, or a casual cookout. These are both incredibly easy and wonderful! My favorite was the strawberry lemonade - so fresh and delicious. Combine tea, fruit nectar, and sugar. 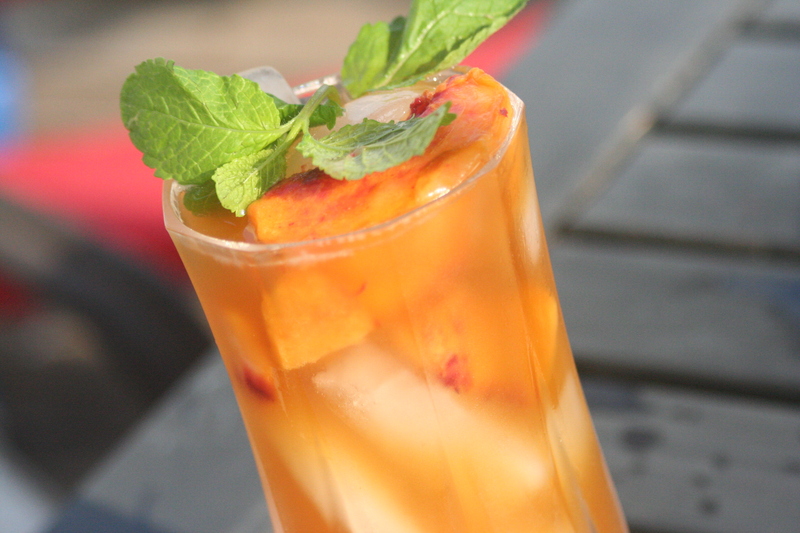 Serve over ice and garnish with mint and fruit. Serves 4-6. Combine sugar, lemon juice, and water - stir until sugar is dissolved. 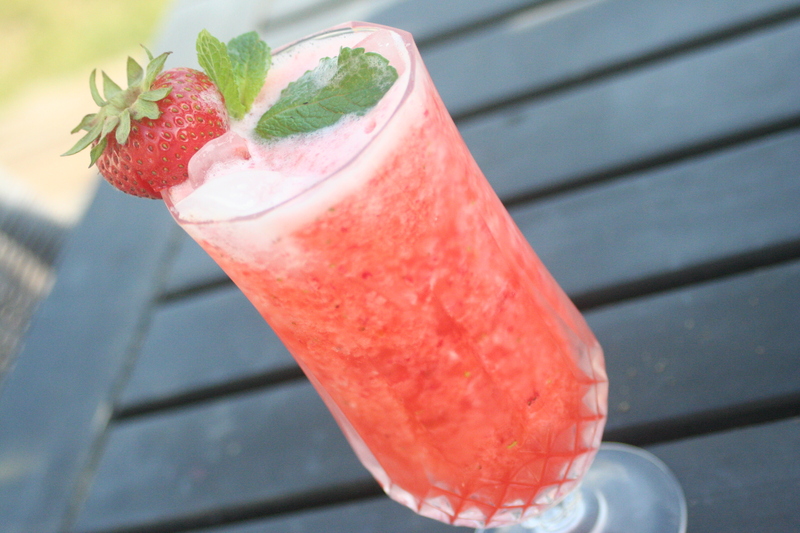 Add strawberries and juice to the blender and pulse. Add sparkling water and blend until smooth. Serve over ice and garnish with fresh mint. Serves 3-4. Wow, these recipes look amazing !! :-D Thanks for posting. Yummy! I have to cut back on caffeine so that fruit tea looks delicious! I can easily make it decaf. We tried the Strawberry Lemonade, and man was it delicious! I didn't bring enough strawberries to make ROUND 3! :) Thanks for the recipe. I bookmarked this recipe when you first posted it, saving it for the opportune time. I'm having a garden party this weekend so I finally get to try it out!